STC is proud to offer turn-key video surveillance systems. STC has certified surveillance technicians to install, setup and train you on using your new system. 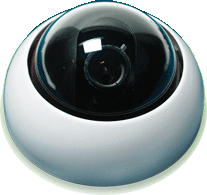 Using traditional analog or IP cameras, STC can take care of all your video security needs. It doesn't always make sense to travel great lengths for the personal touch in a meeting. We can help you do the next best thing. We take you there and bring them here, instantly, with economical high quality video.